Cleveland Springs - For Comps Only MLS#2247030. 2983. Adams Point - To top it all off the extensive backyard has been fully fenced and is ready for a new owner to make it their own! MLS#2246661. 3081. Pleasant Woods - Beautifully landscaped with plentiful fruit trees! MLS#2246883. 4883. Heather Hills - See this incredible find immediately or it will be “Gone with the Wind!” MLS#2246971. 1130. Heather Woods - Unfin third floor! Amazing FENCED Flat lot! MLS#2246334. 3911. Pleasant Woods - 3 Bedrooms on the First Floor and 2 on the Second (Septic approved for 4), Large Living Room Downstairs and Additional Family Room Upstairs Plus Room for a Private Office, Full Bath Upstairs/ .74 Acre Level Lot w/ Extra Wide Driveway/ Plenty of Room for Gardening and/or a Swimming Pool MLS#2246595. 988. The Woodlands - Close To Downtown Raleigh, White Oak Shopping/Restaurants & Lake Benson Park! ! MLS#2246410. 1618. Convenient to Downtown Raleigh, Walnut Creek and 440. Move in and enjoy! MLS#2246634. 1502. Hillington - New Carpet, AC, Water Heater, Heater & Well Pump. Will not last! MLS#2246532. 636. Breezeway - Plenty of Conditioned storage! Energy Star! Agent is related. MLS#2246185. 988. Patio out back. Great Starter Home! MLS#2246236. 988. Be sure to check out our amenities. MLS#2246047. 3807. Bingham Station - New South Garner High School minutes away. MLS#2245952. 3836. 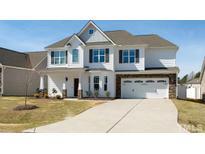 Meadows Of Southfort - 1st floor Master Bedroom w/master bath & Walk in Closet, large family Room w/20’ ceilings, huge kitchen w/plenty of counter tops & cabinet space, Formal Dining, sunny breakfast nook, screened porch & deck. Move-in ready w/new paint & carpet! MLS#2243927. 1768. SOLD PRE-SALE HOME Entered for Comp Purposes. MLS#2245743. 782. Adams Point - Seller offering $3,000 in closing costs, matching fridge & 2 inch faux wood blinds w/acceptable contract received by 4-30-2018! MLS#2245763. 1768. Finished bonus/4th bedroom & full bath upstairs. Covered porch. A must see! MLS#2245779. 1768. 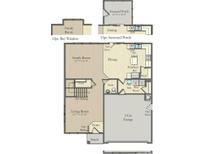 Ashlyn - ( 19 x 12.5 w/closet ) Convenient to White Oak shopping area and I-40 MLS#2245867. 469. Lancaster Place - House is ready to move in or put your personal touch on it and make it your own. WELCOME HOME! MLS#2245661. 986. 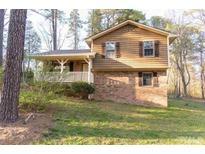 Back deck overlooks beautiful wooded yard, 0.75 acres! MLS#2245587. 5043. Photos Are Not Of The Actual Home! MLS#2245604. 782. This home is available for building on other homesites in Gray Wolf Creek. MLS#2245608. 4682. Upstairs there are 2 bedrooms, the Master bedroom, the laundry room, and a closed in Bonus! PICTURES ARE OF MODEL! MLS#2245615. 782. Jordan Ridge - Storage Shed. Speakers. Convenient to I-40. MLS#2244452. 988. A 2nd floor also provides two guest bedrooms, additional storage, full bath, and an oversized loft for additional play/entertainment possibilities! MLS#2245521. 5043.